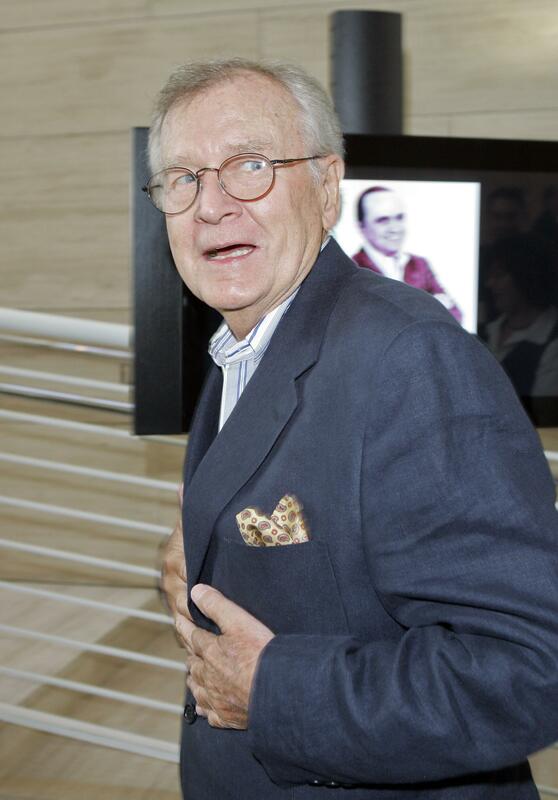 UPDATED: Sat., Sept. 8, 2018, 1:56 p.m.
LOS ANGELES – Bill Daily, the comic sidekick to leading men on the sitcoms “I Dream of Jeannie” and “The Bob Newhart Show,” has died, a family spokesman said Saturday. Daily was not a household name but he was a household face, familiar to many millions of baby-boomer viewers in the 1960s and ’70s from two of the era’s biggest shows. He played Major Roger Healy in all five seasons of “I Dream of Jeannie” from 1965 to 1970. Healy was the astronaut partner to Larry Hagman’s Major Anthony Nelson as both men tried to contain the antics of Jeannie, the childlike blond bombshell who lived in a bottle played by Barbara Eden. Daily saved scenes instead of stealing them like other sidekicks of the era. He specialized in support, upping the comic moments of his co-stars – his Newhart character was, fittingly, a co-pilot – with a goofy warmth. Actor James Urbaniak called him the “king of affable vulnerability” Friday on Twitter. Before acting, he tried to make it in show business as a jazz bass player, playing in a combo called “Jack and the Beanstalks.” Appearing in variety shows drew him into standup comedy and then acting. He said his work at first was derivative – and not very good. After “Jeannie” he returned to guest-starring roles, including one on “The Mary Tyler Moore Show,” before his old friend Newhart came seeking a sidekick. On “The Bob Newhart Show,” Daily’s Howard Borden was the neighbor across the hall who always popped in looking to borrow or mooch something, like Kramer on “Seinfeld” two decades later. In his last well-known role, he played a psychiatrist on the cult hit alien-puppet sitcom “Alf” from 1987 to 1989. Published: Sept. 8, 2018, 10:33 a.m. Updated: Sept. 8, 2018, 1:56 p.m.